We can learn a lot about ourselves and society in general if we choose to embrace the shadow self instead of ignore it or make it "not" part of who we actually are. 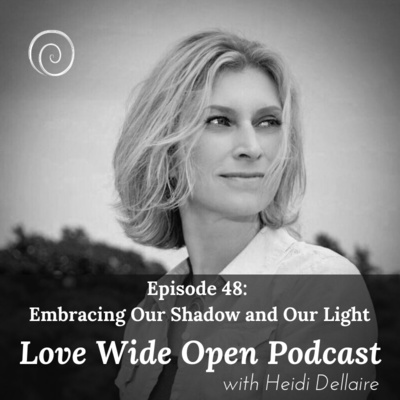 Listen in as I discuss how embracing our shadow actually allows for us to be more compassionate with ourselves and others. Feel free to reach out to discuss this topic at hello@heididellaire.com or heidi@lovewideopen.com. You can find out more about my book Roots and Tendrils at HeidiDellaire.com. Friendship is such a beautiful testiment and witness to who we really are in the eyes of another. Friendship can be fleeting or last beyond our own passing. Join me on a journey through what true friendship means through the words of one of my favorite poets, David Whyte. He has been one of the inspirations in my own writing and publishing of my poetry book, Roots and Tendrils. As we are moving through life, why does it become harder to find or express the joyful moments in life like when we were children? Where are you #chasingjoy? How are you finding joy in your life? Have you forgotten to look around and see it everywhere in every present moment? You can connect with my more on HeidiDellaire.com or LoveWideOpen.com and reach out through email on either site. My book, Roots and Tendrils, is available on Amazon. A poetic journey through the highs of love and the lows of heartbreak that ultimately lead you to self-love. It's for anyone who has ever loved or been loved. Ep 45 Does Time Really Heal Wounds? Ep 43 Self-Love: What is it? What is it in us that makes us lash out at others when we can't sit in our own discomfort? Why do we think it is an act of strength or power to tear someone else down when we don't even take the time to understand a situation? We have to dig deep within ourselves to understand why we, as humans, stop seeing other people as human beings with feelings. Why do we stop acting with empathy and compassion when we are in a state of fear? It IS possible to have a big heart and still have healthy boundaries. Let's talk about how we do that. 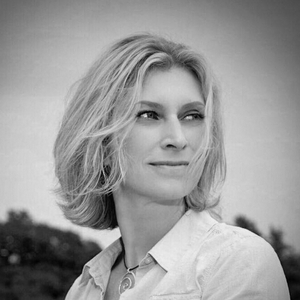 For a link to Heidi's book, Roots and Tendrils, click here https://amzn.to/2W3iy40. We all have the ability to heal our own hearts. We just need to listen and go deep. Ep 37 47 Things I've Learned In 47 Years. I just recently turned 47. It gave me a moment of pause to look back on what I have learned over the years. How do you create space for yourself when you're feeling stuck? Are you shrinking yourself to fit to the ideals of others or are you aligning with your true self to allow for greater expansion? Beautiful things happen in your life when you let down your walls and allow yourself to be vulnerable. The world is moving quickly. How are you slowing down at times to enjoy experiences and people more? Can there be a power differential based on the type of boundary someone sets? Is it actually a boundary or a form of control? Are you aware of the impact you can have on others? When we least expect it, the universe gives us a test. Time seems to be moving faster and faster. Are you doing the things that you love? Friendships come in all shapes and sizes. Are you nurturing your friendships? How to move out of negative thought patterns. We often hold on to things to tightly. There is Power in Letting Go. Ep 25 Insecurity: Where Does It Come From? We have all been insecure at tines. How do you deal with it and move on? How do you connect to your inner self? Have you ever tried to help someone through something and they just weren't ready to hear the message? How do you release negative emotions and get back to a positive state? Ep 21 Judgment, Why Do We Do It? We have all judged and we have all been judged. What is the reason behind it? How often do you get caught up in expecting certain outcomes? Change is inevitable...embrace it. They are Universal buddies. How do Gratitude and The Law of Attraction work together? Do you look forward to going to work? Does it feed your soul? How do you find joy and happiness in the pursuit of your "work"? Ep 17 What's Your Intent? What do you intend to bring to the world? The importance of being present in the moment. What would happen to the world if we could all make our positivity louder? Ep 14 Love or Fear? Where are your roots planted? Are they planted in love or are they planted in fear? Open up to look at life through the lens of love and amazing things eill happrn for you. Have you ever received a download from the Universe and then literally met the person who needs that message moments later? Are you rooted in the love of the universe? Has someone underestimated you only for you to prove them wrong? Don't wait to fulfill your dreams. Are you showing up for yourself and taking responsibility for your life? Love and compassion are learned through observation of someone's actions. Do you have a dream? Go after it. Are You Honoring Your Inner Child. Ep 5 Your Inner Circle. Who is in your inner circle of support? Authenticity. What Does It Mean to You?